Since first debuting in 2014, Independent Venue Week (IVW) has come into its own as an established annual celebration honoring the bars, clubs, and concert halls that make up the dwindling ranks of independently owned and operated music venues in the U.K. Now in its fifth year, the week-long coming together of artists, promoters, labels, media, tastemakers, and venue owners is ready to step across the pond and make its first foray into the U.S.
Sybil Bell, founder of IVW and board trustee for the U.K.'s Music Venue Trust, says she is excited to meet the challenge of expanding the festival into the global marketplace, explaining, "We’ve been speaking to the industry and partners across the U.S. for around three years, and now finally feels like the right time to bring this celebration to America." "Bands still need to play and tour small venues here in order to get a foothold," she adds. "And those working behind the scene also need to start small. Local communities too need somewhere on their doorsteps that knows how to put live music on." In addition to bringing together independent venue owners who are often left feeling like they operate in a vacuum, IVW in the U.K. found considerable success getting big-name artist onboard to serve as ambassadors and help increase audience awareness, notably tapping Radiohead bassist Colin Greenwood as the event's inaugural attaché. The U.S. debut of IVW has already secured the participation of Portishead's Adrian Utley, Nadine Shah, Jamie Cullum, and Darryl "D.M.C." McDaniels of Run-D.M.C. The first U.S. iteration of Independent Venue Week is set for July 9–15, 2018, and will incorporate shows in cities all across the country. Full details about participating cities and venues set for release in May. The 13th annual Pitchfork Music Festival has begun rolling out its lineup of acts for 2018 – a process that will reportedly take several weeks, as each artist's name is being revealed by being painted onto a living mural in Chicago’s Wicker Park neighborhood, which will be livestreamed on Pitchfork's homepage. Among the first batch of names announced, Tame Impala has been revealed as the Friday headliner for the eclectic three-day summer festival. 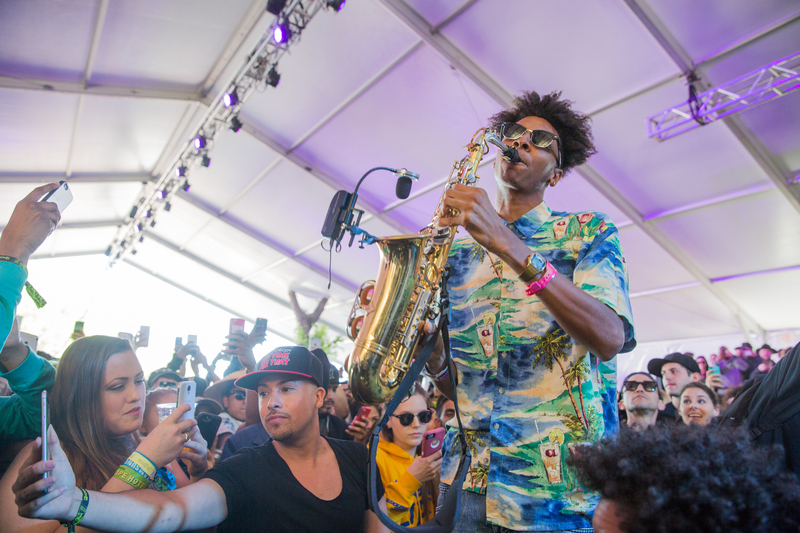 Other exciting reveals include Kelela, Raphael Saadiq, D.R.A.M., and Japandroids. The 2018 edition of Pitchfork Music Festival will take place in Chaicago's Union Park on July 20 – July 22. Both single-day and three-day passes are currently available directly from the festival's website.